Over the years we have frequently used Amazon.com to do our online shopping, because of it's accessibility and ease – especially when we lived and worked near their headquarters in Seattle. Now that we're away from our home in the Northwest and having a baby, we've found that Amazon Prime has become even more essential to our growing family. Since we became Prime members and parents, we have been saving so much through their discounts and recently learned how to claim an Amazon Baby Registry Box – at no cost – after registering with Amazon.com for all of Baby Burm's needs this year. We wanted to share our experience with you and any other expecting parents today, because who wants to miss out on quality baby brand products that are free? Become an Amazon Prime member if you aren't already. Complete an Amazon Baby Registry and have over $10 purchased from your baby registry. Click the "Claim Now" button on your baby registry, which will allow you to redeem the free offer. 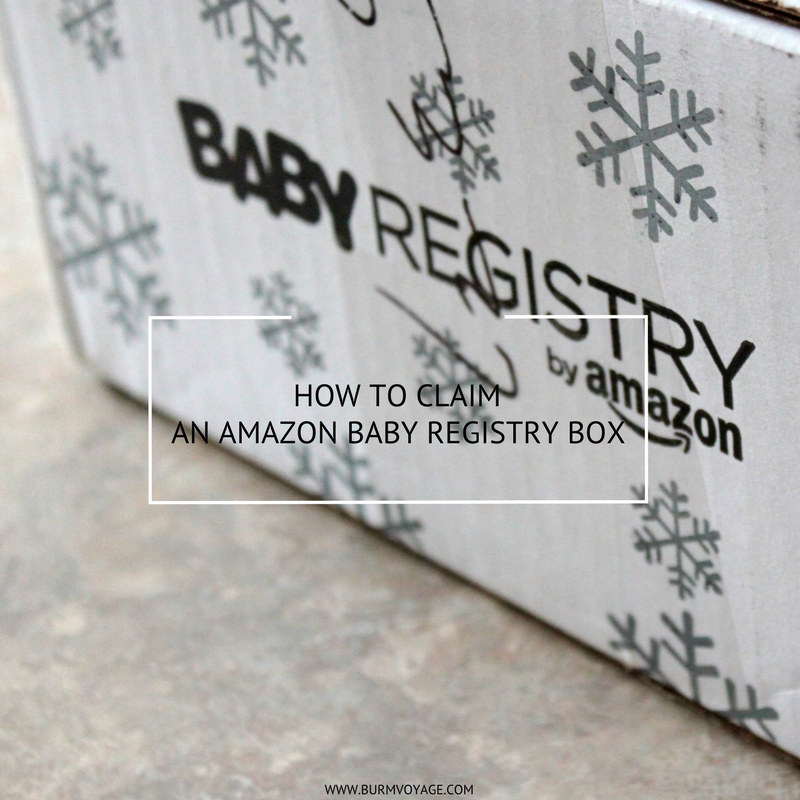 Wait 3-5 days to receive your free Amazon Baby Registry box ($35 value) and products while supplies last. We also received a teething toy in our box that was left out in the nursery (oops!) and soon stolen by our baby girl's big sister, Olive the Aussie, who unfortunately left it unrecognizable. We cannot review all of these products until our baby girl is here, but we look forward to testing them out when she arrives! We hope that you found our tutorial helpful, and that you can claim your Amazon Baby Registry Box while supplies last. We also want to note that all opinions here are our own and 100% truthful – this not a sponsored post – we just wanted to share the deal with any of our expecting family, friends or followers!